This is a great concept. If we want to deliver value to our customers (or internal staff) then we should not just look at creating real value; but also finding ways to deliver that value faster so the customer does not have to wait for it. Of course this also means that they can pay us for that value sooner so everyone is happy. This is where a lot of traditional lean techniques like value steam maps can help. But sometimes people miss the point. It is not about understanding your current process and speeding it up. It is about learning what is really valued by your customer and delivering that quickly without hiding it in a lot of useless and distracting features and processes. Let me illustrate with this admittedly silly example. I was running my agile course today but there was no catering so I went outside to buy my own lunch. 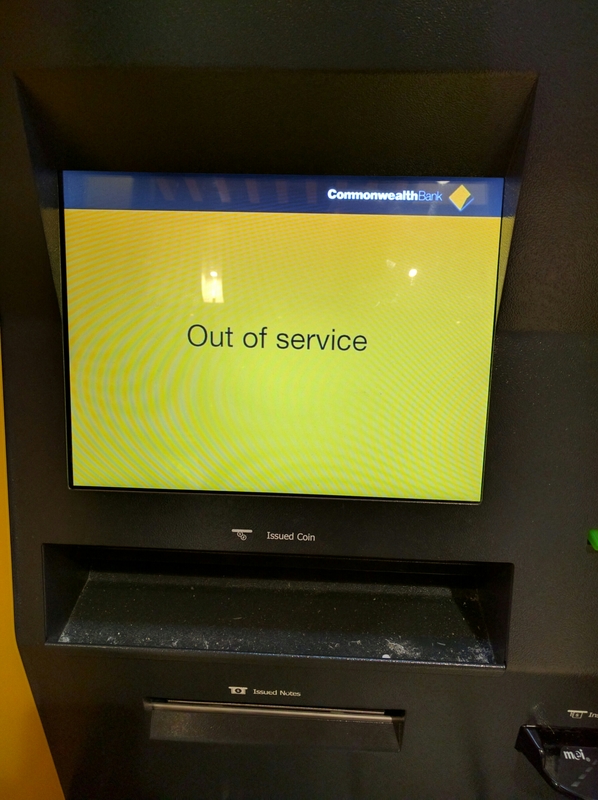 Unfortunately I had no cash so I went to my favourite bank to get some money. On the way I was hoping there was no queue so I would have time to relax while eating something nice. 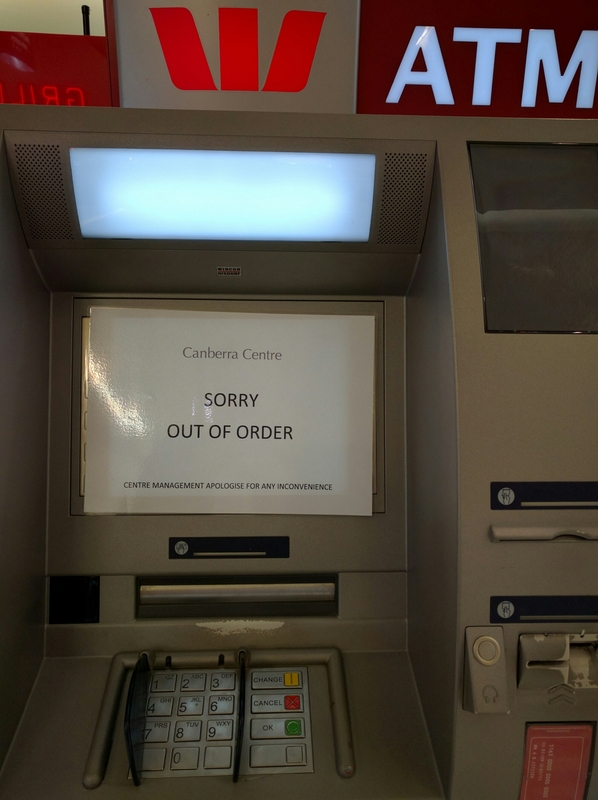 Sadly the ATM was not working and the bank had a manual work around in place … Someone came out of the bank to attach a sign that said I could not have any money today. This was quite disappointing because the value I wanted was to have some cash. I didn’t really see much value in being told I couldn’t have any. They were able to roll out their “no money for you today” service faster, better, cheaper and more consistently. But I was still disappointed that I could not get any money and therefore had to go back to my course hungry. So while their automated approach was more sophisticated and cheaper to maintain … They had just sped up their ability to disappoint me consistently and quickly. Effectively they were reducing their speed to disappointment rather than speed to value. These books all present some simple yet powerful concepts and approaches to help you deliver real value faster and more profitably (rather than just automating your ability to disappoint customers more efficiently).